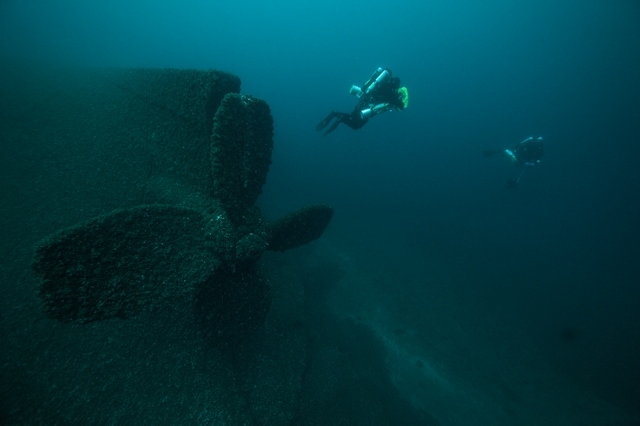 Description: The great storm of 1913 was devastating to shipping on the Great lakes and about a dozen vessels and over 200 lives were lost, most on Lake Huron. 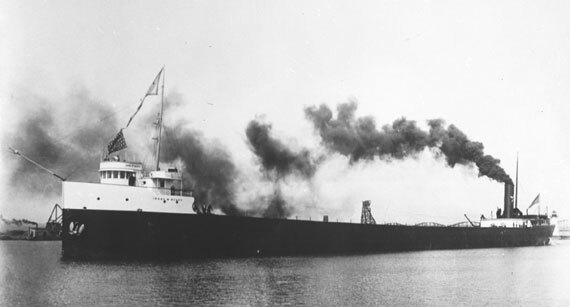 Like several other steel freighters, the Isaac M. Scott turned turtle and went down with all hands. 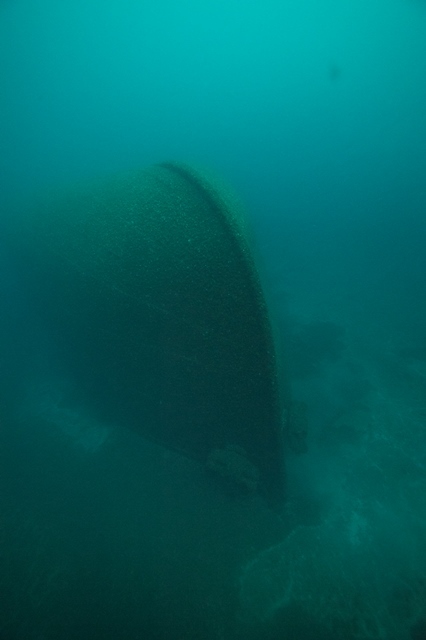 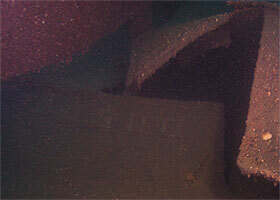 The giant ship rests upside down on the lake bottom with only the propellers, hull structure and bow anchors visible.